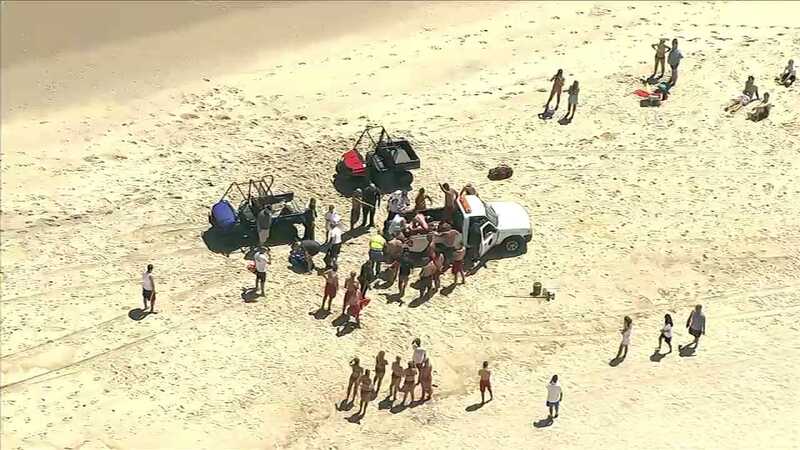 SEA BRIGHT, N.J. -- A teenager pulled from the ocean at a northern New Jersey beach Monday has died. Police in Sea Bright said the 18-year-old died after being taken to the hospital. The teen was swimming with about a dozen friends in an unguarded, private section of the beach that does not have lifeguards next to the Driftwood Beach Club. Officials said the teen, who has been identified as Kevin Searfoss of Rockaway, got caught up in a rip current and went under the water. Lifeguards pulled out about 20 minutes later, and performed CPR on him. He died Monday night at the hospital. A red flag warning had been in effect Monday for dangerous rip currents. In that mode, swimmers are only allowed in water up to their ankles.